Prosecutors say some of the parents charged in the nationwide college admissions scandal took tax write-offs for the money they spend using a real non-profit set up by alleged ringleader William "Rick" Singer. Now experts warn budget and staff cuts at the IRS could reduce further investigations of questionable nonprofits. More questionable nonprofits could slip past federal oversight as Internal Revenue Service staff and budget cuts reduce investigations, charity experts worry. The nonprofit at the center of the college admissions scandal, Key Worldwide Foundation, operated since 2012 without raising the suspicions of the Internal Revenue Service, which is charged with overseeing nonprofits. Federal prosecutors said William “Rick” Singer set up Key Worldwide Foundation specifically to funnel money from parents to the elite schools they are alleged to have bribed. It was an IRS-approved nonprofit. “This enabled the parents to not only mask the true nature of the payment but also take the tax write-off at the end of the year,” U.S. Attorney Andrew Lelling said at a March 2019 press conference while outlining the government’s case regarding the alleged system of bribes and subsequent arrests. But the IRS didn’t detect the illegal payments, the deductions, or the money laundering as it was happening. The tip that led to Singer’s business dealings came from an unrelated investigation. “It’s definitely a problem that could get worse, and that is getting worse,” said Ray Madoff, a law professor at Boston College who researches charity policy. She said she worries that cuts to the IRS’s budget and staffing mean the agency is pulling back its oversight, and potentially opening the door to more fraud. 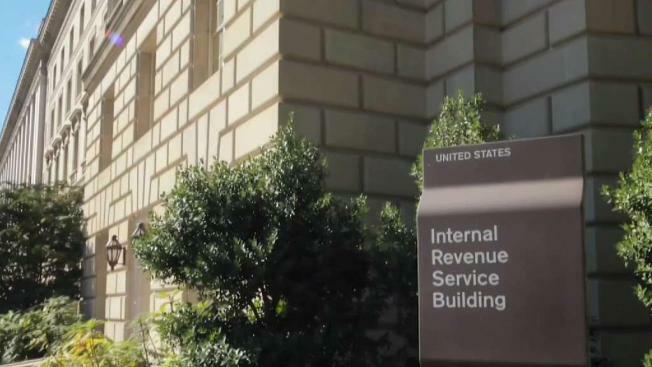 The IRS’s budget has been cut 17 percent since 2010, dropping from $13.8 billion in 2010 to $11.5 billion in 2017, according to data from the IRS. Those budget figures are adjusted for inflation. IRS staff is down by nearly a quarter in the last two decades, from about 101,000 in 1997 to 76,800 in 2017. “And if you think about what’s happening in the country over that same 20 year period, everything’s become more complex,” Madoff said. Those cuts increased a backlog in charity applications for tax-exempt status, she said. To tackle the backlog, and to streamline the approval process for smaller charities, the IRS changed how those applications are evaluated. One significant change included allowing applicants to just check a box promising they will actually do charitable work, rather than requiring them to file documented proof up front. That shifted the approval process from a proactive policy requiring up-front documentation to a reactionary policy that just requires a promise with follow up when problems arise. “This is part of the problem with a lack of enforcement, you then get into a culture of noncompliance,” Madoff said. So how can you know that a charity you’re interested in is on the up and up? One of the best ways is to stay local so you can talk to the people involved. “Those are ones where really the donor has the best information because they can see what’s being done and whether they’re being run by good people,” Madoff said. The IRS did not respond to questions emailed to a spokesman about how Singer’s money laundering nonprofit was able to go on for so long without raising red flags.